Prague, Czech Republic — The bullet ballet begins today. Grip Digital and Terrible Posture Games FPS bullet-hell MOTHERGUNSHIP is now available digitally on PC, PlayStation 4, and Xbox One for $24.99 / €24,99 / £19,99! Enter the fight to take down the Mothergunship and share your best gun creations with us on Twitter this week as we celebrate the launch of MOTHERGUNSHIP. 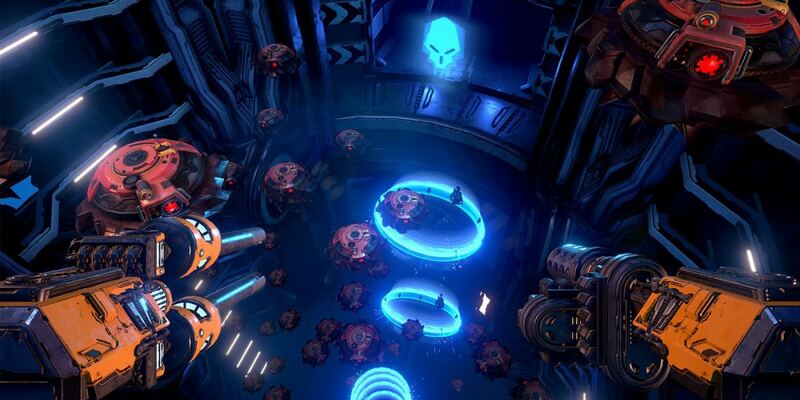 Or, just use that crafty creation to fight on the side of the resistance as you look to destroy the legion of data-hoarding aliens at the Mothergunship’s command. In partnership with Sold Out, MOTHERGUNSHIP will also be available as a physical release on August 21st for PS4 and Xbox One.